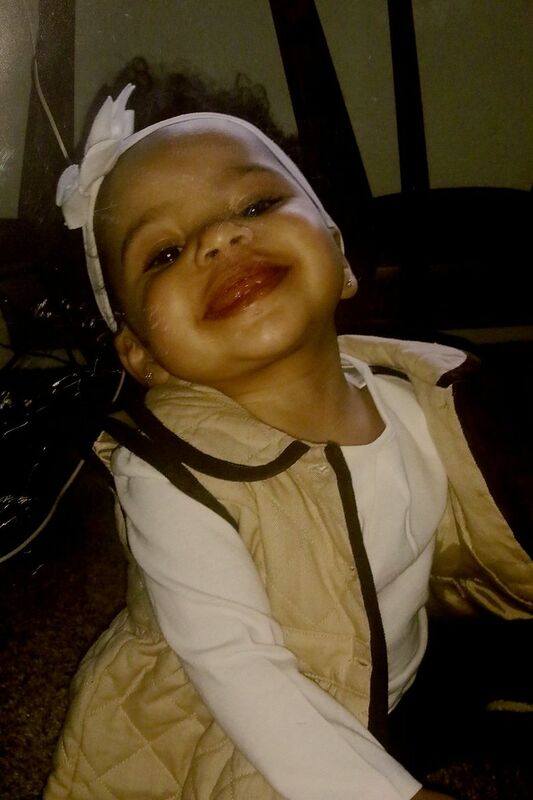 A suspect has been charged with murder in connection with the fatal drive-by shooting of 1-year-old Malijha Grant in Kent in April. Police believe the shooting was gang-related. 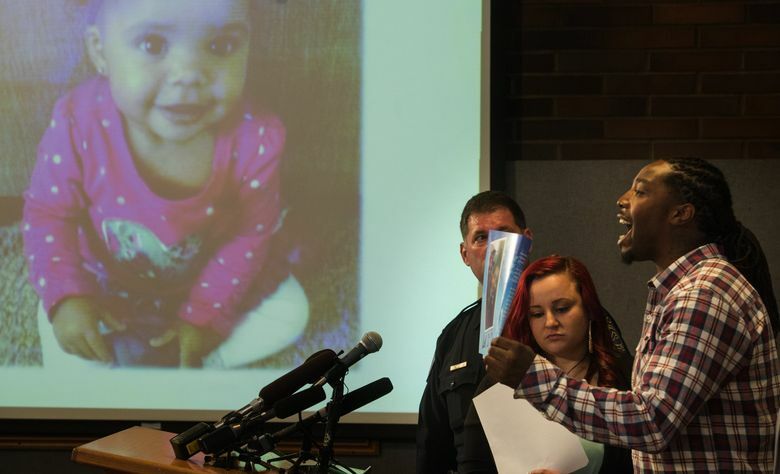 The gun used in a fatal drive-by shooting that killed 1-year-old Malijha Grant in April was used in three earlier shootings, two of them in Seattle, Kent Police Chief Ken Thomas said Monday in announcing a suspect has been charged in connection with the child’s death. The early theory of investigators was that Malijha’s father, purportedly a member of the Deuce 8 street gang, was targeted by members of the Low Profile street gang in retaliation for the fatal shooting of John Williams in downtown Seattle in March. That theory was furthered with the naming of DeMartrae “Marty” Kime as a suspect: Williams, a senior member of the Low Profiles, was Kime’s mentor in the gang and Kime was extremely upset over his death, according to charging documents. 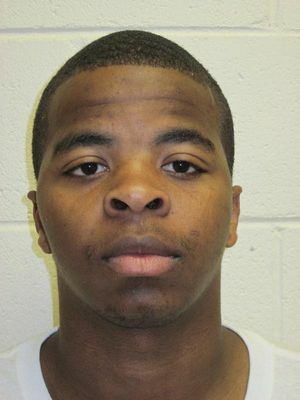 Kime recruited two juvenile gang members to retaliate by shooting Deuce 8 members because Kime believed the rival gang was responsible for Williams’ death, the charges say. Less than 24 hours before Malijha was shot on April 16, the two juveniles participated in a shooting at East Alder Street and Martin Luther King Jr. Way South in Seattle, two blocks from Flo Ware Park, the heart of Deuce 8 territory, according to the charges. Police recovered 14 .40-caliber cartridges at that scene, the charges say. The morning of the fatal shooting, Kime — who has “Low Profile” tattooed across his chest — went to Kent to retrieve his gun from one of the juveniles, the charges say. The weapon has not been found by police, but Thomas said at a Monday news conference that bullets and casings found at the three earlier shooting scenes matched those in Malijha’s shooting. Thomas would not say Tuesday if Kime is the suspected gunman but said police are still actively investigating and looking for at least one other suspect. In addition to second-degree murder, Kime, 24, of Auburn, was charged with two counts of first-degree assault for allegedly firing at Malijha’s parents, Lisa Lynch and Martrice Grant. Malijha was strapped into her car seat in the back of a silver Chevrolet Impala driven by her mother, with her father in the front passenger seat, when she was shot once in the head by the occupants of another vehicle around 4:30 p.m. on April 16. She died at Harborview Medical Center two days later. Kime has been in federal custody since June on a charge of being a felon in possession of a firearm, and has also been indicted in Oregon on a first-degree robbery charge, according to police and charging documents. In October 2014, Seattle police arrested Kime at a gas station on 12th Avenue after he pointed a gun at three passers-by. Police found 12 small bags of cocaine in Kime’s pocket and later found a .45-caliber pistol in his car. Officers took Kime to Swedish Hospital after he complained of stomach pain, telling the officers he had swallowed 4 grams of cocaine, court records say. Apparently because of staffing issues, a police guard was not posted and Kime walked away from the hospital after being treated, the records say. He was charged in January with unlawful possession of a firearm and possession of cocaine but failed to show up for his arraignment that month, and a $500,000 warrant was issued for his arrest, according to court records. Charging papers say Kime was arrested in Portland on April 30. Malijha Grant was shot in a drive-by in Kent. He was booked into the King County Jail on his warrant May 6, a couple of weeks after Malijha was fatally shot. The case was transferred to federal court in June, and Kime, who pleaded guilty to being a felon in possession of a firearm in September, is to be sentenced next month. Kime is scheduled to be arraigned Jan. 4 on the murder and assault charges. “Kime was not the only participant in this terrible murder, so we continue to work hard to bring the perpetrators to justice,” Thomas said. A car believed to have been driven by the shooters, a dark-blue Chevrolet Cruze, was found by police after a citizen called in a tip. A witness later told police Kime borrowed her car, a dark-blue Chevrolet Cruze, sometime around 2 p.m. on April 16, then returned it — after vacuuming and wiping down the interior — four hours later, charging papers say. Shortly before the shooting, Malijha and her parents stopped at a Safeway grocery store at West Meeker Street and Washington Avenue South in Kent, according to the charges. Video-surveillance footage from a Brown Bear Car Wash, located across the street, captured the girl’s mother leaving the grocery store and being followed by the Cruze, the charges say. Kime’s phone records place him near the car wash shortly before the shooting and are consistent with his fleeing the area of the homicide, according to the charges. Sara Jean Green: sgreen@seattletimes.com Seattle Times news researcher Miyoko Wolf contributed to this story, which includes information from Times archives.